The original Legend of Zelda on NES introduced the idea of an open fantasy world, but as the series progressed, it veered toward guiding players through a linear sequence of engaging puzzle and combat scenarios. 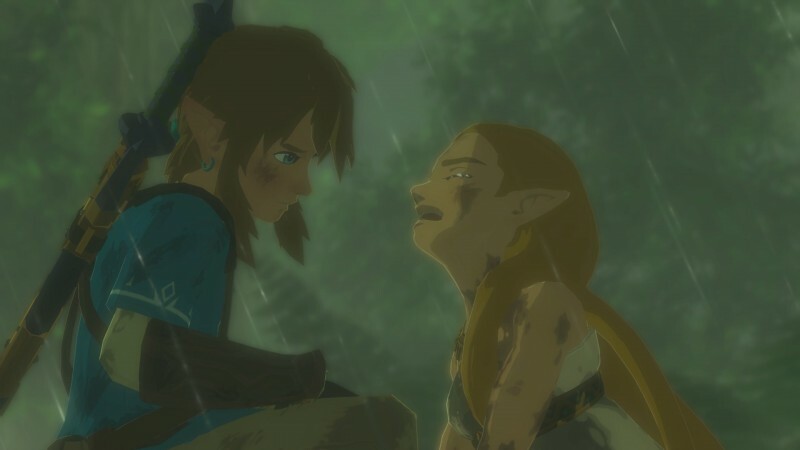 The series has reexamined that formula in recent entries, but Breath of the Wild marks the most dramatic departure to date. You have every item you need to solve every puzzle before you reach the first dungeon. Swords break, and you exchange them often. You don’t have to complete the dungeons to defeat Ganon. 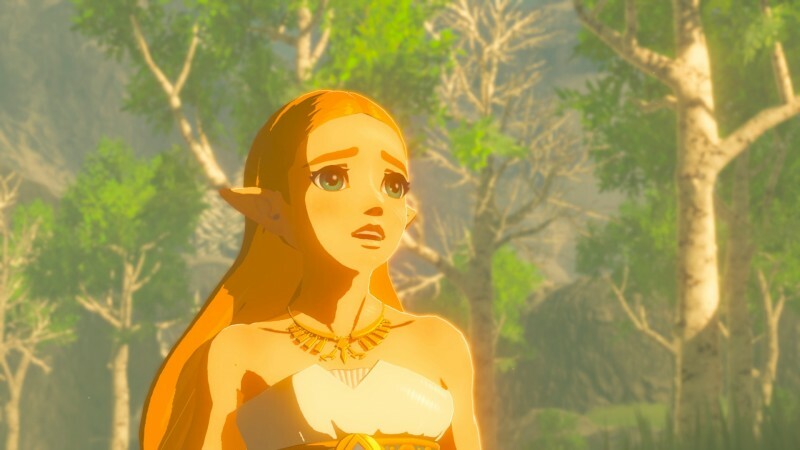 This is not the Zelda we’re familiar with, but my hesitations about deviating from a proven formula were cast aside the moment I was dropped into the new, open Hyrule. Breath of the Wild’s version of Hyrule is consistently compelling and full of discovery and reward. The sections of the world are thoughtfully designed, each an important part of the larger whole. Every trail I took, even the ones off the beaten path, led to interesting discoveries like hidden puzzles, new weapons, and strange architecture. Link’s map is blank at the start, meant to be filled with icons as you decide which activities to pursue, and I appreciate that it lets me define what is important. 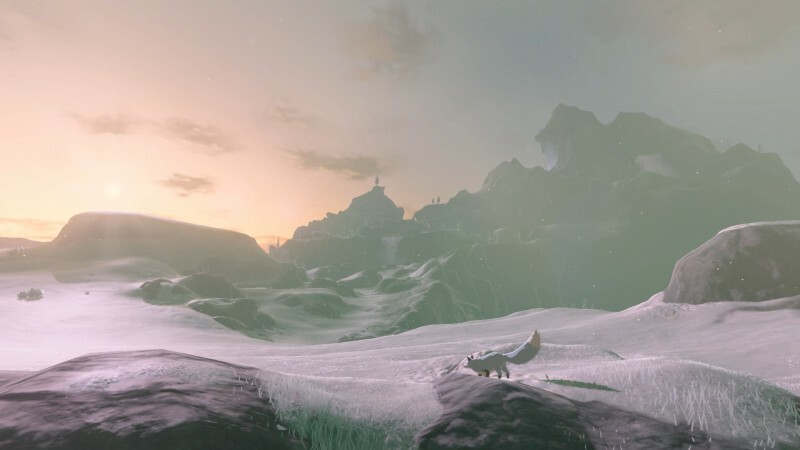 Players are accustomed to navigating open worlds, but Link’s ability to climb leads to unprecedented levels of exploratory freedom. If you see something in the distance, you can walk or fly straight to it, regardless of what’s in your path. Link never needs to circumnavigate. Every surface in Hyrule is an opportunity to further your adventure. Gigantic statues you might think are set-dressing are used as platforms to kick-start a flight. 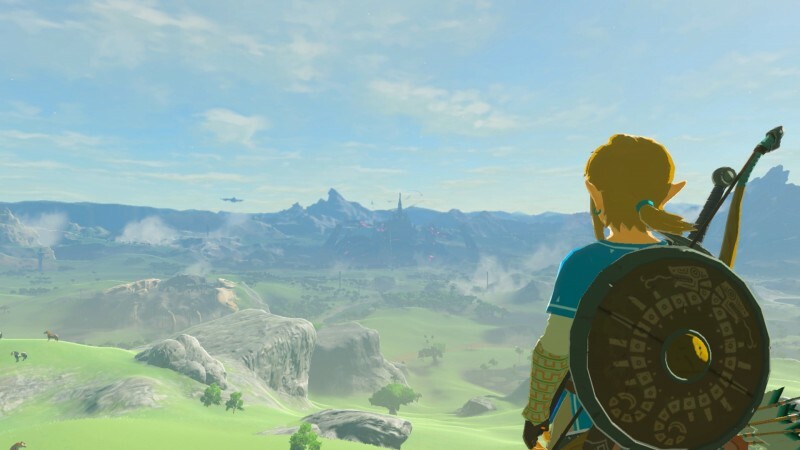 Mountains normally used to create barriers are climbing challenges; your reward for these tests of endurance might be a new item, but even just a new view of Hyrule can be equally valuable. I never tired of climbing toward the skies, looking out into the world, and seeing all it had to offer in detail. 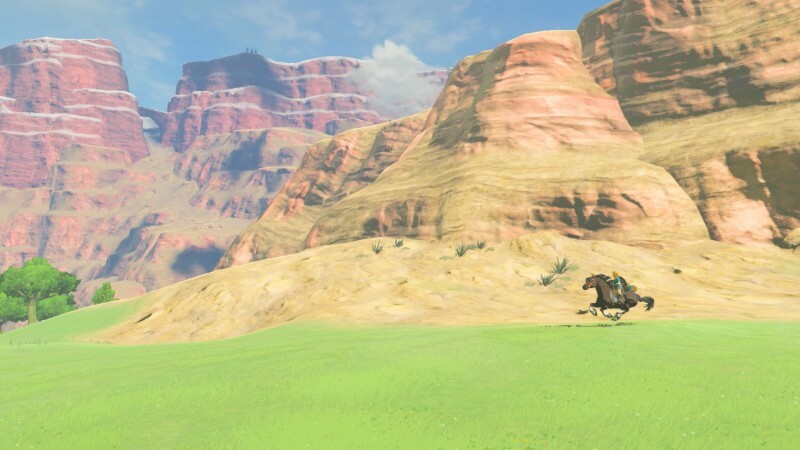 Breath of the Wild is more than just a world of beautiful scenery. It’s full of puzzle shrines, dungeons, and surprises. The main dungeons are smaller than those in previous Zeldas, but benefit from the compact design by never overstaying their welcome. Link takes control of each of the dungeons, rotating them to solve puzzles, or manipulating their large components to open new paths. Defeating their challenging bosses offers worthwhile rewards that affect facets of exploration and combat in exciting ways, like the ability to perform an extra powerful attack in times of need. Any disappointment that may have resulted from the main dungeons being smaller affairs is cleanly washed away thanks to the myriad shrines. Shrines are found throughout the world, and along with each offering physical rewards they also act as unlockable fast-travel points, making each one invaluable. They all feel distinct, focusing on singular puzzle ideas and executing on them with few repeated mechanics. 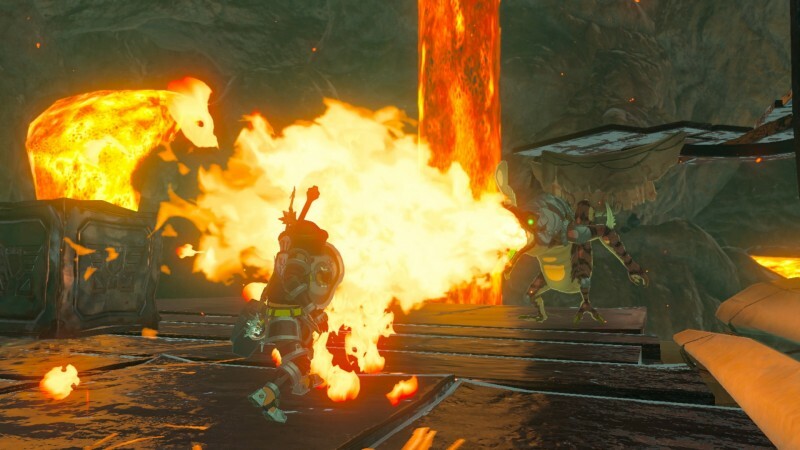 They are well-designed, taking full advantage of Link’s new time-manipulation and magnetic abilities, but also use familiar Zelda ideas, like bombs, in novel ways. The shrines are home to the most creative puzzles, and they stand comfortably alongside the best of the larger franchise. 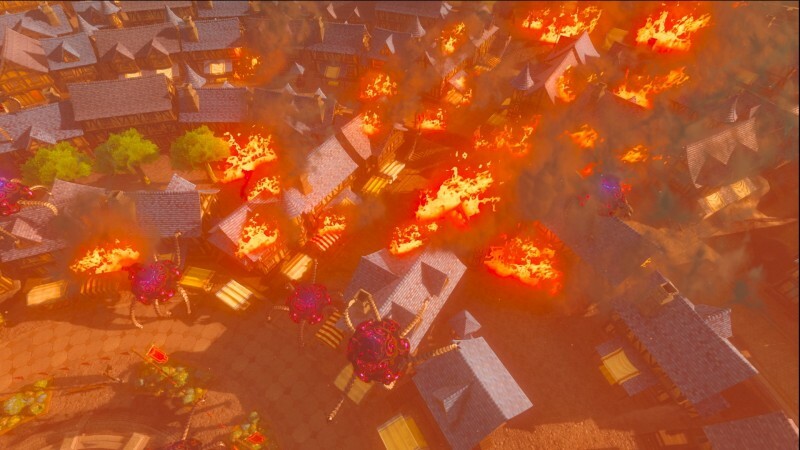 The challenges of the game extend beyond solving puzzles and apply directly to Link’s survival. Breath of the Wild is not an easy game. It begins with Link waking after being asleep for 100 years, and he is quickly dropped into the world with little tutorial. Preparation is key when deciding the direction to go; the whole world is accessible, but that doesn’t mean you are equipped to handle every area. Approaching the volcano without a collection of fireproof potions results in a fiery death, and not wearing the right clothes as you head north makes the frost steal your hearts. Checkpoints are friendly though, and being able to fast-travel to any shrine (even in the middle of a fight) means you can always escape danger. Despite dying often, the difficulty of the game is reasonable, and incredibly rewarding when the preparation pays off. An important part of that preparation is equipping Link with food and weapons, which are found everywhere. Creating health-restoring dishes and potions is simple, and I enjoyed gathering ingredients between destinations to see what I could create. Combining meats and mushrooms to create heart-replenishing shish kabobs is fun, but discovering strange potions using monster parts and bugs is especially exciting. 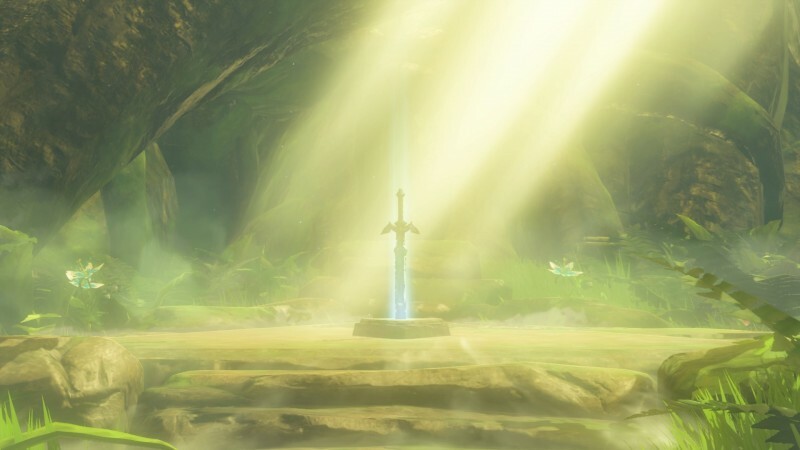 I was never at a loss for sword, bow, or shield, but the item degradation prevents players from being precious about Link’s weapons. Using a sword to the breaking point and throwing it at an enemy for one final destructive blow feels good, but it always stung a little to chuck something I liked. More powerful weapons are always nearby, but the degradation mechanic is ultimately one I just learned to cope with. 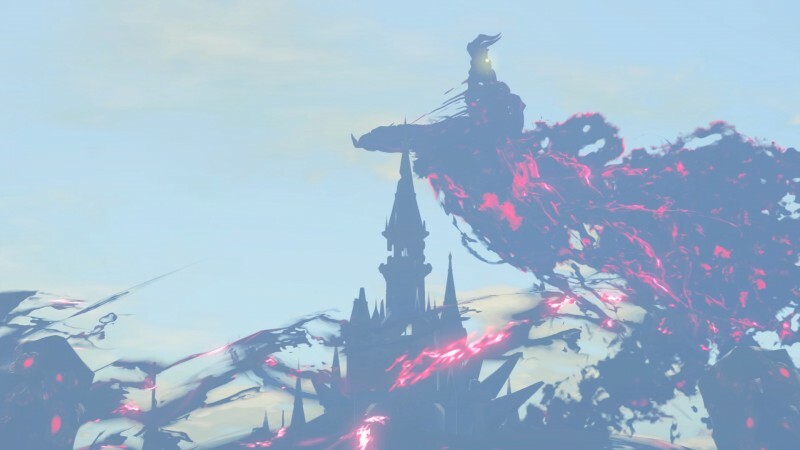 Surviving in the world serves as an important build-up to the ultimate goal, which is defined early on: Defeat Ganon. 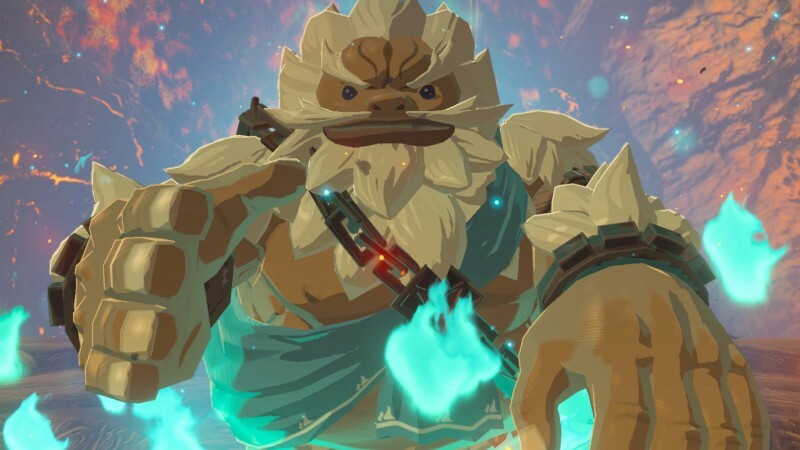 In Breath of the Wild, Link is not trying to prevent the villain’s resurrection. Ganon is there the moment Link wakes, visible in the distance. His evil presence is clear from nearly every vantage point on the map as a disturbing, glowing evil and it has a tangible effect on the world. 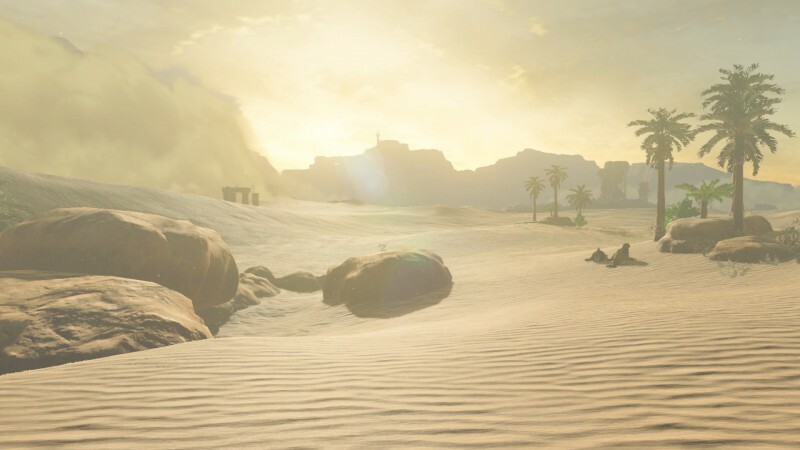 I felt it at every moment, whether it was by seeing Ganon in the distance or by talking to Hyrulians living under his oppression. Seeing the goal from the moment I started the game also made my final sprint to defeat Ganon hugely rewarding. 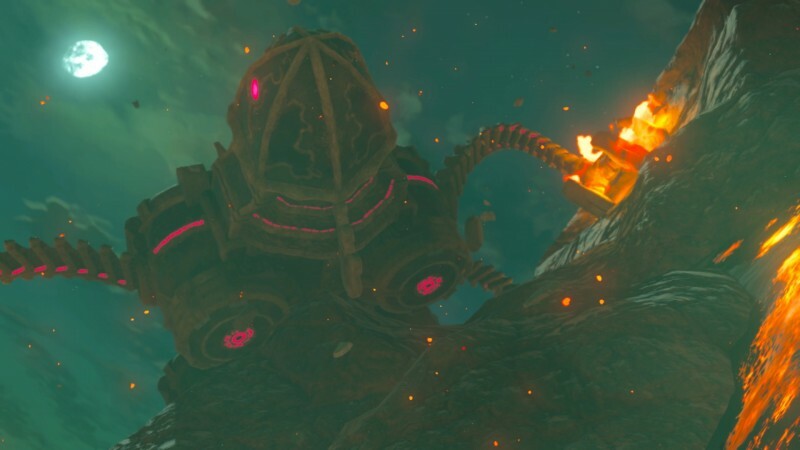 When I finally decided I was ready to face Ganon, it felt like the culmination of a lifetime of preparation that ended with a hugely satisfying finale. 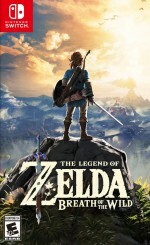 The rest of the story is simple, familiar to even those who have never played a Zelda game, but the way it is presented is interesting, calling into question the familiar fate of Link and Zelda in a way that made me sympathize with the struggling heroes (in spite of the underwhelming voice performances of Zelda and the supporting cast). Their mission is harder than it has been in previous Zelda games, and the pressure of that task is told well through the optional cutscenes. 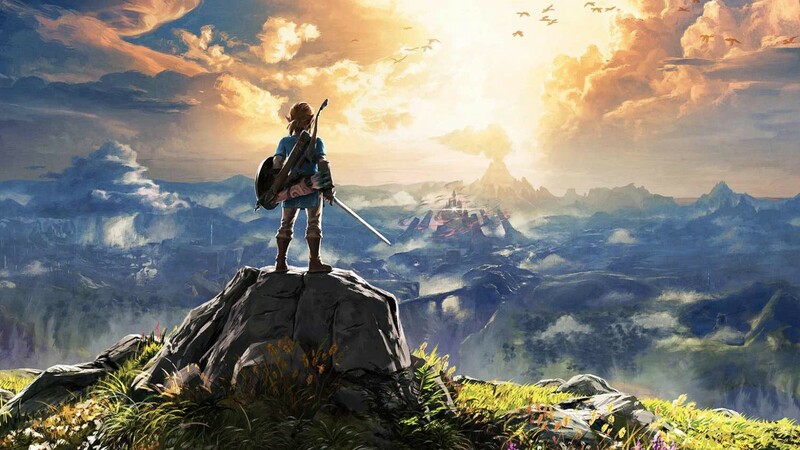 Breath of the Wild is an achievement in the design of a living world. Hyrule is massive, with multiple environmental systems layered on top of a grand adventure. The only technical issue I encountered was one related to the framerate when fighting multiple enemies in busy forests. 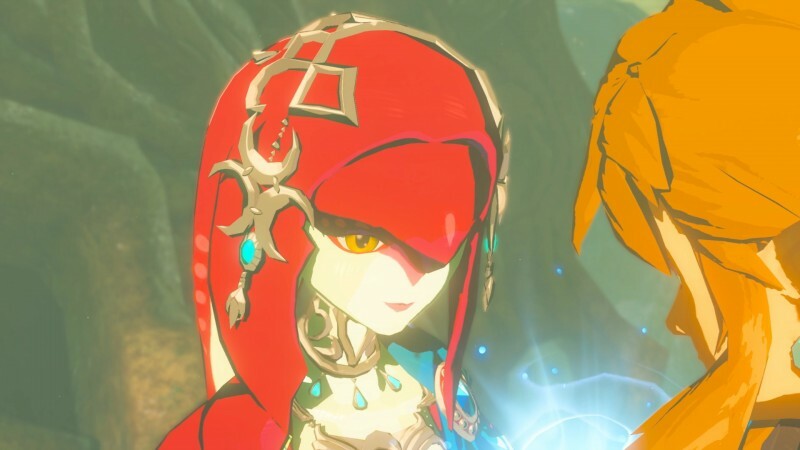 Despite the massive scope of the game, Breath of the Wild retains Nintendo’s knack for polish without any major technical hiccups to disrupt the experience. I was entranced by this version of Hyrule, and it surprised me at nearly every turn, from its wealth of discoveries to the way it shuns the established tropes of previous Zelda games. It represents a profound new direction for one of gaming’s best franchises and a new high point for open-world interactive experiences. This review pertains to the Switch version of The Legend of Zelda: Breath of the Wild. The game is also available on Wii U. 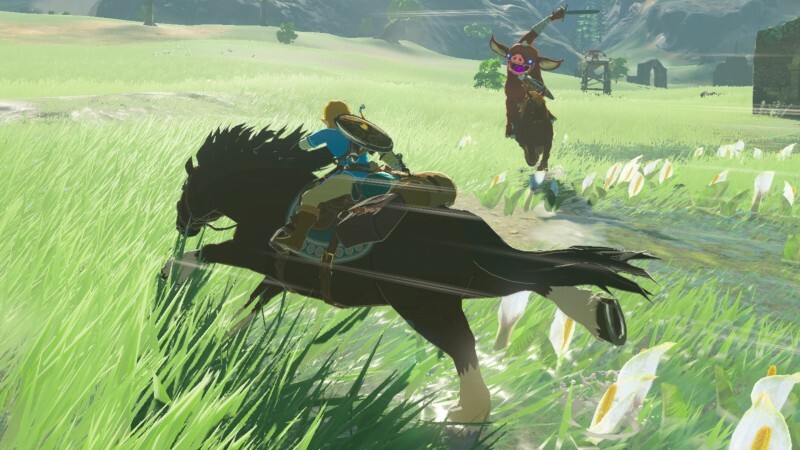 Breath of the Wild represents a profound new direction for Zelda and open-world interactive experiences.